Hi there poets, today we premiere with our new feature: the haibun Monday. 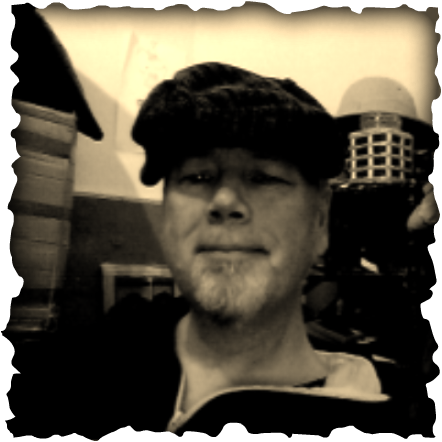 To help us we have brought in a guest blogger who will introduce himself and the haibun. The haibun will come back once a month on our usual bar-time. Technically a haibun is a piece of prose followed by a haiku or micropoetry, though there is an emphasis on haiku as the form to use in the verse after the prose. Haibun is an ancient art of writing from Japan, and is attributed to Matsuo Basho, who also defined the hokku, and later haiku. 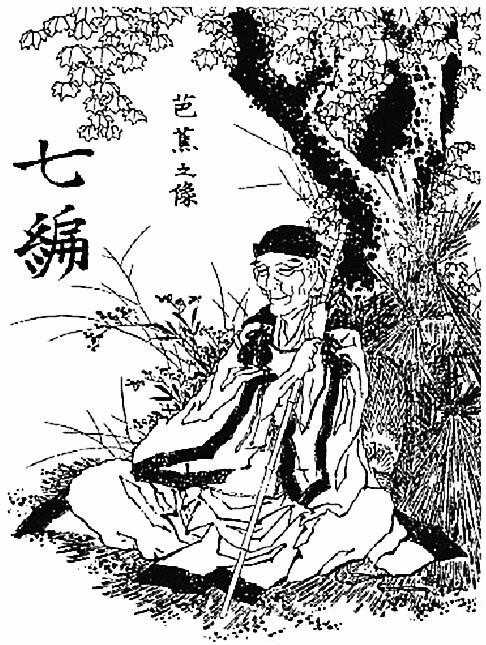 It was Basho’s classic The Narrow Road to the Deep North (late 1600s), detailing his third and longest journey, a fifteen hundred mile route from Edo to Ogaki over 156 days, that defined the form of haibun in the style of his travel journals. The journey was also an inward search, and something of a spiritual pilgrimage, and it is not unusual to see a good modern haibun contain an epiphany of some kind. Keep your prose ‘tight.’ 2 paragraphs is fine, don’t let it drag on. The prose can be a narrative but is not a whole story. A ‘scene’ is enough. There IS a relationship between prose and haiku, but the haiku does not merely repeat the prose. There can be a moment of discovery in a haibun. Please only use 1 haiku after the prose – a second or third is often distracting. No counting the syllables in your haiku! Please have your haibun related to nature in some way. This can include a recent hike, or a view from a train window, but explore a general or specific connection to nature. Dverse has explored haibun before, and Bjorn kindly pointed me to this haibun following by Kazensakura, an absolute delight in form, theme and style. Click here for the link. Click also here and here to read two particularly beautiful, well stunning haibun from Thotpurge. I have also linked one of my own recent efforts here. Here’s an excerpt from Basho’s Narrow Road to the Deep North. After arranging to stay with the priests at the foot of the mountain, I climbed to the temple situated near the summit. The whole mountain was made of massive rocks thrown together and covered with age-old pines and oaks. The stony ground itself bore the color of eternity, paved with velvety moss. The doors of the shrines built on the rocks were firmly barred and there was no sound to be heard. As I moved on all fours from rock to rock, bowing reverently at each shrine, I felt the purifying power of this holy environment pervading my whole being. I hope you will take some time to experiment with this form & then share with us what you have come up with. Be sure to follow the haibun format, as shown in each of the examples. *PS, I briefly mentioned writing above, and am offering two ebooks for free here should anyone need a read or two! Click on the titles – ‘Put Your Lips Together’ and ‘Winner Takes Nothing’ – type in XH77H to receive this second ebook. Also remember, the link is open for a whole week. There is plenty of time to comment and interact. Hopefully those that know how to read as well as write. As OLN was rather abysmal in that regard. Thank you very much Grace. Thank you also for the ebooks !!! It has been a very long time since I wrote prose. It is what I wrote well before poetry so it was nice to turn back to an old friend. I was just going to watch to see how this went but the afternoon got me going. I think poetic and prose can enhance each other when well done.. this is exactly why we have this new feature.. Thank you Hamish for this! And of course, today, after being good for a week, Google is acting bad, WP is throwing a tantrum and I can’t get my link to behave. Oh well….life is normal. I hope this will attract some new folk here who will also link other poems for OLN and future prompts. Your haibun is properly linked now 🙂 No problem. Love your sense of autumn. Thank you. If I didn’t have caretakers, I wouldn’t make it in this world. 🙂 You are better with a Katana than me.. so there might be a day when I need your protection. Anytime. Right now I am doing battle with my computer and sorely wish I could use the blade on it. I had to load in some programs for a short term engineering project and I don’t think it is happy. You are a lovely prosist…proser…writer. Poetry, prose – you do a magnificent job. Thanks – that was a beautiful haibun yours, I must say. Thank you so very much. it is good to be able to reply to you! I have to go and head to a Labor Day cookout and party. I will be back later to savor the links. Wish you all could join me! I think there will be several grills there and I am taking ginger and sake marinated veggies to throw on the grill along with a freezer of homemade last of the season peach ice cream. Yowzer y’all…..enjoy your day. 🙂 here we have a cold evening.. and soon off to bed. Counting syllables in something that is very difficult to do. I would say many haiku poets, think that it locks the thinking into syllables that is not the same as the original Japanese form.. Things like kigo and cutting words are much more important. Also the 575 syllable count in English might lead you wrong and put to much into your haiku.. but this is still controversial..
Of course I agree with Bjorn’s literary anwer, and also might add that especially as part of a haibun the haiku should not adhere to this strict format of 575. Toni, i usually stick to the 5-7-5 syllables too…that is haiku form to me. But i sense the heart of haiku is most important, which i’m still learning. This new feature gives us all more practice in prose and haiku! Yes it does. I used to write my haiku in Japanese but felt the heart of it could be done in English. And haiku, like sonnets, rondeau, odes – has a form. The form is based on the aesthetics of a culture which we often forget and we Americans, with our arrogance, change the form to suit us. If we respect other forms, then in fairness, we should respect other forms and the rules of the forms. I’ve been studying Japanese poetic forms for over 30 years and writing them for longer, learning along the way. It is something I feel deeply. And too many times, people call a 575 a haiku when it is actually, senryu. People can write as they wish. The heart of the haiku is in the seasonal words, cutting words, and the aesthetics of mono no aware. Modern forms have made changes in the form. It doesn’t mean I will call a haiku a haiku when it is a short poem or senryu. I hope I don’t sound harsh. I hope to sound earnestly protecting a form that has become ubiquitous and I grieve for it. haibun has also undergone many variations but the rules for it are not as strict and allows for a lot of growth within the form. It is something I hope all will enjoy and find many wonderful ways to explore and expand it. Thank you for listening. I truly didn’t want to sound mean. I just get frustrated and discouraged at times. I don’t think you sound mean but i am thinking my post is more senryu than haiku. Your teaser last week intrigued me, and the haibun I have linked was written at the weekend. Now, having read today’s erudite introduction, I realise the inadequacy of my reading of the word Haibun. I shall have another go and try and write something nearer the brief. We have a complete week .. and it’s Ok to read more than one entry. heat’s afterNoon sun.. bikiniS thrill men eYes..
Dreams.. cold front.. haunt Lovers eYes..
Greetings, everyone! Just finished spending time with family for Labor Day. Now I look forward to reading haibun. I look forward to this feature once a month. Have a good week, everyone! I’m back too from a friendly get together and so enjoyed the haibun linked here. I wish we would do this every week! Poor Hamish….such a wonderful explanation and examples. I have enjoyed the form as well as reading others’ offerings. How wonderful – a new haibun challenge – I’m excited. That’s good. The weekly haibun challenges got abit overwhelming for me. The quality of my writing suffered. I look forward to next month’s challenge. It’s quite a new form to me though I’ve tried Haibun once or twice…a delightful challenge today :)…I hope to visit everyone once I’m back from work…. Ah.. thank you 🙂 the prompt is open for a week, so I hope you can bring a new one to the bar. Just did! Will drop by soon to read all the other links. Thanks! The haibun seems easy. And it should be poetic in nature and about nature. My mood was such this morning that I was not waxing poetic, but I tried. Thanks Bjorn and Hamish for the prompt. I look forward to writing more. Hi everyone, late to the party, but looking forward to reading your work, this is a form I could grow to love! It’s open a week.. so you might come in with a second too. Yes, I love that it’s open that long, that’s a great idea. Having so much fun reading everyone’s haibun, I nearly forgot to leave a comment here! I caught this one a bit late, very glad there is a week to post a link for haibuns! Ok, at first I was not thrilled with this form. But, then I figured out that haibun can be quite handy. I like the way Basho uses it in his journal. It sounds like a great journaling tool. That is the approach I took to my first haibun today. Not late at all.. nice to have you joining, and yes it fits quite nicely as a journal tool. One thing that the haiku (or short prose) is breaking up a long piece of prose into smaller chunks making the reader stop and think. I have used it a little in longer narratives to create the effect of a much longer piece. Hi all…I’m coming in late too but was intrigued by writing another haibun prompt. I’m very glad that we have a week to visit others and savor the beauty that is the haibun. Nice to be back at dVerse and visiting my poet friends once again. Still many days left… We have all the opportunities to add more haibun before the prompt closes. I would like to add that I attempted to leave comments on a few other poet sites but was not able to…not sure what the problem was but I’ll go back now and try again. I’ve enjoyed them all. Strange.. there is nothing in my spam filter at least.. It wasn’t just you, Bjorn…I went back and was successful today. I don’t know what the deal was last night. Gayle, thank you for reading. I love seeing you, Gayle!!! I’m so grateful for this new inclusion the feature of haibun Monday! Just to say I really appreciate all of the bullet-points for haibun tips and all of the links shared…I read them on my phone and didn’t get to comment individually but I REALLY enjoyed the poems! That’s so excellent…this week was a rat-race getting the littlest started with school and appointments etc. I’m so glad I made it in time…it’s been pulling on my muse all week! I SO look forward to learning more about this form as it has become a favorite for me this year. Thank you! So sorry to be so late in arriving, but it’s been quite a week. I love the idea of Haibun Monday and the fact that it is open all week. Thank you so much for the thorough explanation and inspiring post. I will read over the weekend. So sorry to come flying in late, but I just couldn’t miss out on the first Haibun Monday. I really enjoyed my first attempt and will have fun reading others tonight. The information shared was very helpful.